Hyatt Lane in Cades Cove in the Great Smoky Mountains. There was a photographer in this photo lost in the fog and looking for a photo to take. I found this scene quite quickly. Everything just comes together. 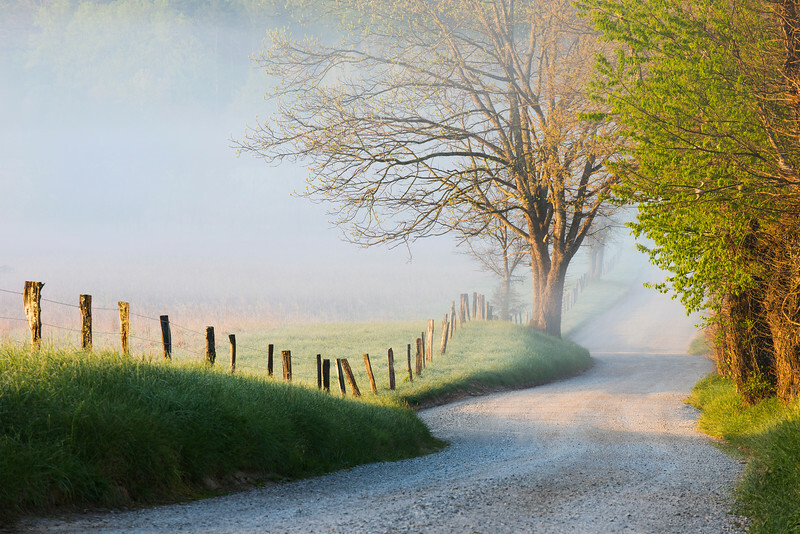 Fog, fence line, road meanders and nice light. Everything you could want.